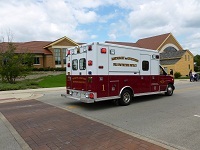 The Village of Montgomery does not have a municipal fire department. Residents of Montgomery are served by five independent Fire Protection Districts. In the event of any emergency, whether fire, police or medical, just dial 9-1-1 and your call will be routed to the appropriate emergency personnel.